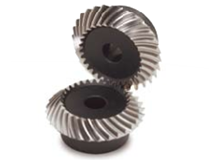 Reasonably priced ground gear, yet remachinable except for the gear teeth. © 1996 - 2019 KHK Kohara Gear Industry Co., Ltd. All Rights Reserved. This product is obsolete and no longer available.